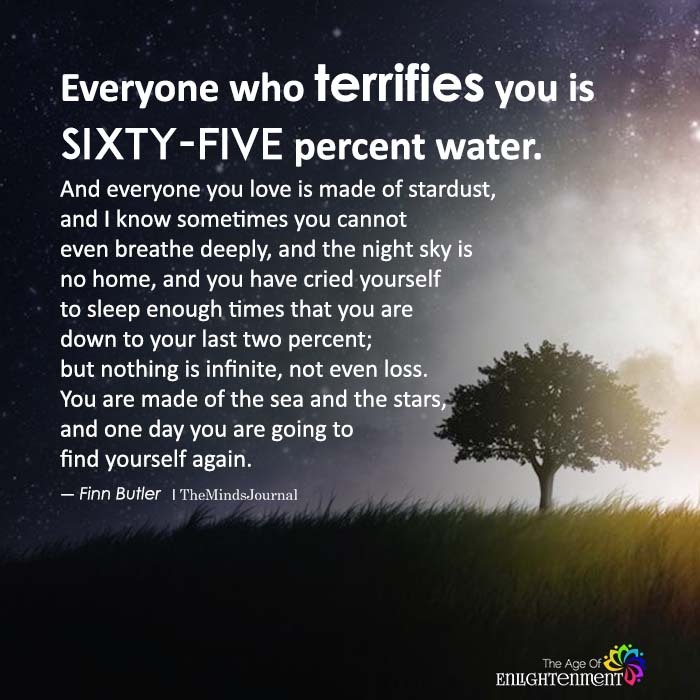 Everyone who terrifies you is sixty-five percent water. And everyone you love is made of stardust, and I know sometimes you cannot even breathe deeply, and the night sky is no home, and you have cried yourself to sleep enough times that you are down to your last two percent; but nothing is infinite, not even loss. You are made of the sea and the stars, and one day you are going to find yourself again.